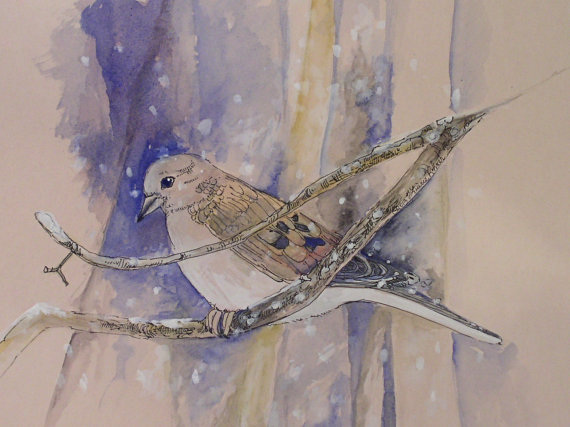 Nature Art woodland bird in winter a collection of original paintings by Laurie Rohner in watercolor. 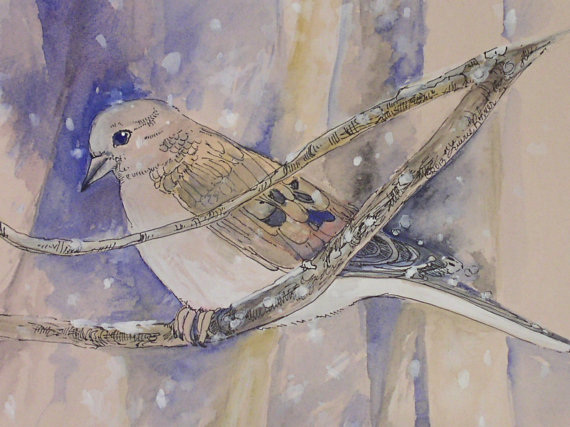 Detailed watercolor illustration of a woodland Morning Dove in the evening hours sitting on a branch while a light falling snow falls quietly in the night air. 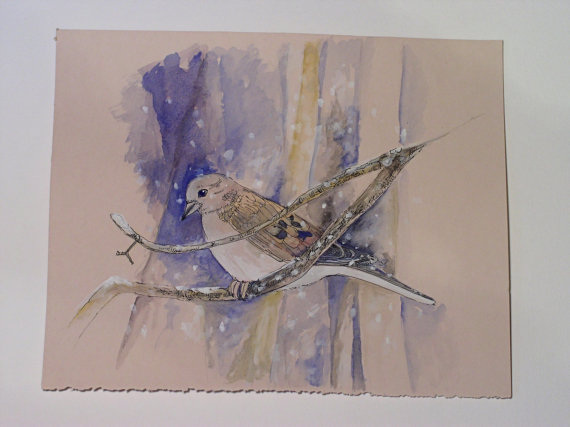 Artwork by Laurie Rohner titled Winter Dove watercolor on paper. The paper 150lb rag paper is used for pastels and inks but I loved the taupe tone so instead I used my watercolors and gouache. It is slightly askew but will lie flat once framed. This is a very versatile painting for contemporary or farmhouse homes and everything in between of course. It would look great in any type of frame or you could have it mounted on a matte board and placed in a shadow box frame. Will fit any standard 11" x 14" or 11" x 14 " matte opening. I recommend framing with glass.